I have developed a new habit. 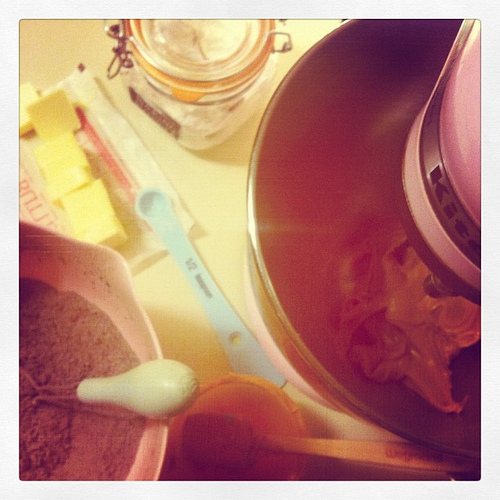 Late night baking. Actually I've been doing it for awhile but I recently became self aware of it. There is something nice about pre-heating the oven and getting out the Kitchen-Aid mixer at 11pm. The kitchen is already cleaned up so I have a clear palette. The house is quiet and the pugs are sleepy - perfect time to bake! 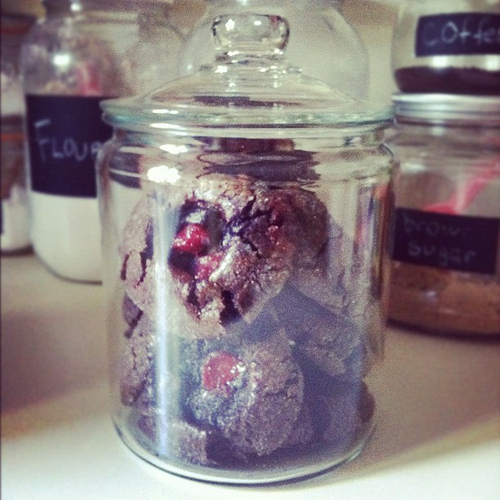 And it is nice to wake up to a full cookie jar and the aroma of fresh baked cookies still hanging in the air. 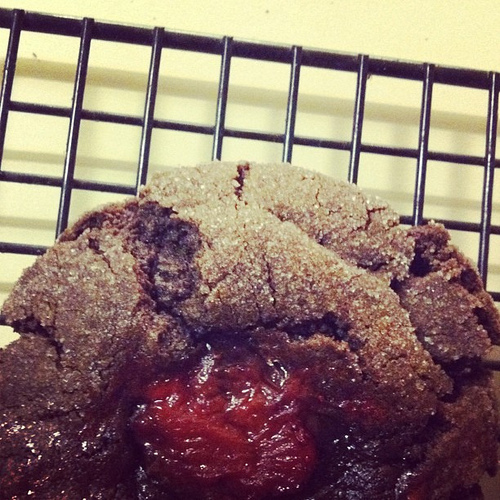 My latest late night baking adventure was a batch of Giada's peanut butter and blackberry strawberry jam cookies. I swapped out strawberry jam simply because that was all I had. The recipe comes from Weeknights with Giada cookbook, my new favorite go-to cookbook. These are big meaty cookies! You are supposed to use room temperature butter but I was impatient and used it still slightly chilled so my cookies are not as spread out as I think they are supposed to be. It didn't seem to affect the taste however and one makes it into Aaron's lunch bag each day. They are also good with a dish of coffee/mocha ice cream!